After ten years since his last trip to the seaside event, 37 year old Ian ‘Simmo’ Simpson, is making his North West 200 comeback. The Dalbeattie man, also known as the ‘Dalbeattie Destroyer’, a nickname he was given after a highly successful North West 200 in 1995. Despite not being in the public eye for a few years, Simpson has been riding in the Historical races abroad for the last few years, and is due to make his road race comeback on board the DM Yamaha Racing team, run by ex-racers and fellow Scots men, Iain Duffus and Brian Morrison. The team are planning a practice session on Wednesday at Oulton Park and then plan to compete in the Superstock class and ride the same machine in the two Superbike races. 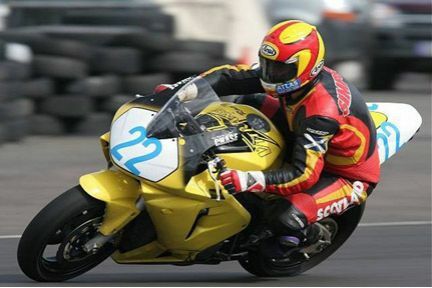 The tough Scot was forced out of racing for a time when he was seriously injured during a British Superbike race at Brands Hatch, the leg injury he sustained in that accident caused him to call a halt to his own racing career and move into race management with the ETI Racing Team. During his race career he was British Superbike Champion in 1994 and won five times at the North West 200 circuit. In 1995, he won the main North West 200 Superbike race on a Honda and the following year, he enjoyed a further Superbike victory on a Ducati. He won the 1997 Production race on another Ducati but reverted to Honda for Superbike and Supersport successes in 1998. “Ian’s manager Iain Duffus has informed me that Ian has not been in complete retirement and took part in some racing last season,” said North West clerk of the course Mervyn Whyte. “He has competed in some 24-hour events and all three are looking forward to returning to the North West,” he added.